Well . . . yesterday officially marked 1 year since I started this blog. It's been quite a year! In fact, I was so busy sewing yesterday I didn't spend any time blogging. The pictures are truly of atrocious quality, but until I get better ones these will have to do. If you'll recall I was working on a bit of a deadline as my in-laws left to go visit the recipient (my new nephew!) very early this morning and I finished it LATE last night. I've been working on it round the clock for the last week (ok . . . not exactly ROUND the clock, but at every moment I could steal between kid stuff, cleaning, making food, and working.) As is usually the case, I grossly underestimated how much time it would take me to put it all together. As I was scrambling to finish late last night and still get it over to my in-laws by daybreak, I did take a few moments to try to photograph it. Not surprisingly, I discovered half the lightbulbs in my house were completely blown out. The "best" lighting I could find was on the landing in my staircase. As you can see . . . it still wasn't good. NOT PICTURED: Little chunk of my finger I accidentally rotary chopped off while cutting the sashing. Because no one wants to see that. I hope everyone has a blessed and Happy Thanksgiving! As always, I'm linking up with some great parties this week. Check them out and join in on the fun RIGHT HERE. I'm so happy to hear and report to you that she is home! 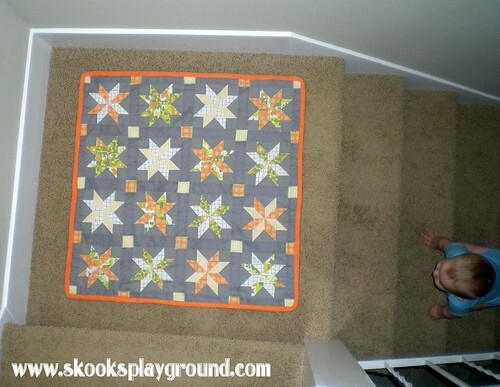 Check out the pictures of Lissa with her beautiful quilt RIGHT HERE. It's incredible how happy I can be about this considering I have never met Lissa, but I am overjoyed. God is so good and FAITHFUL! 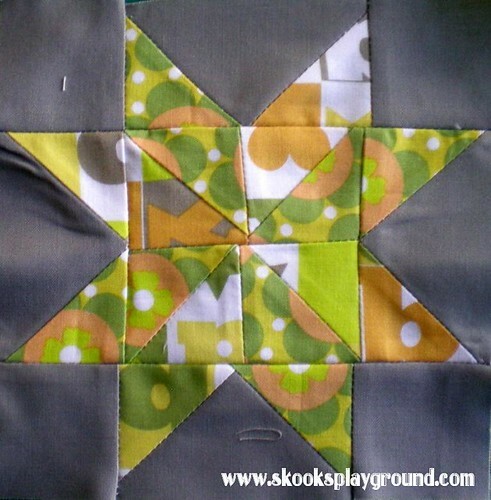 I've been working away bit by bit on the little sawtooth pinwheel quilt for my nephew. It's coming along, however slowly. So . . . not much to report on that front at the moment. 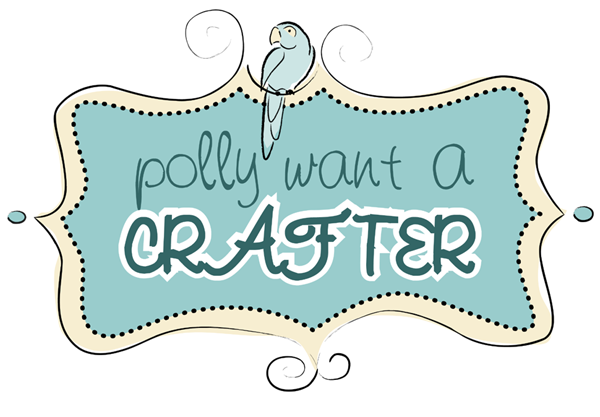 However, I did stumble across this sweet giveaway over on Retro Mummy's blog. 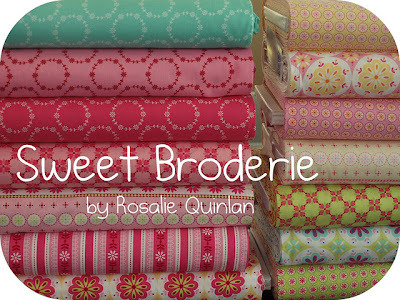 She's giving away 2 fat quarter packs of Sweet Broderie by Rosalie Quinlan. So pretty! I'm a sucker for a giveaway. It's true. Check out the details and enter here. I spent a good portion of Saturday evening cutting out itty bitty squares for a new quilt I'm working on for my nephew. I have no idea what the real name of this block is. 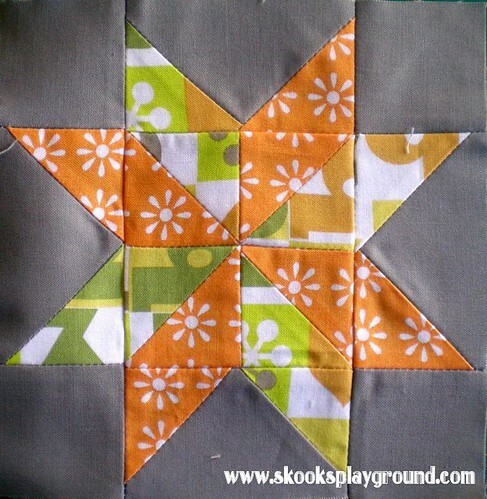 I'm calling it the Sawtooth Pinwheel because it has elements of both of those blocks . 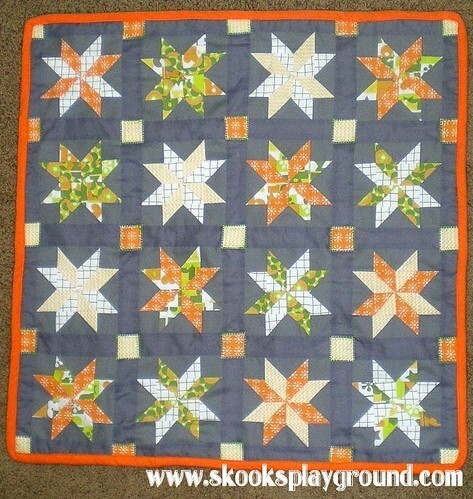 . . long-time quilters: feel free to correct me on the name! 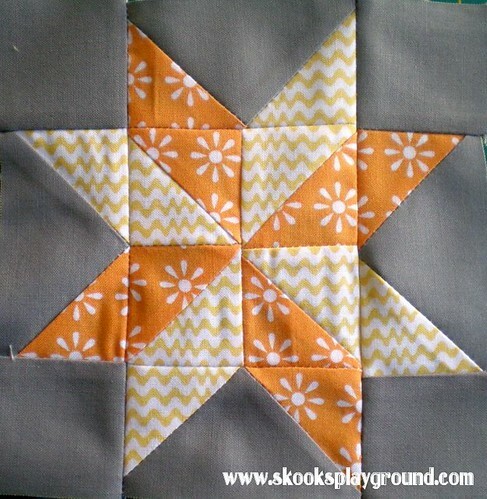 I chose some cheery but down to earth colors for this quilt . . . my little nephew's name literally means, "Peaceful Forest". 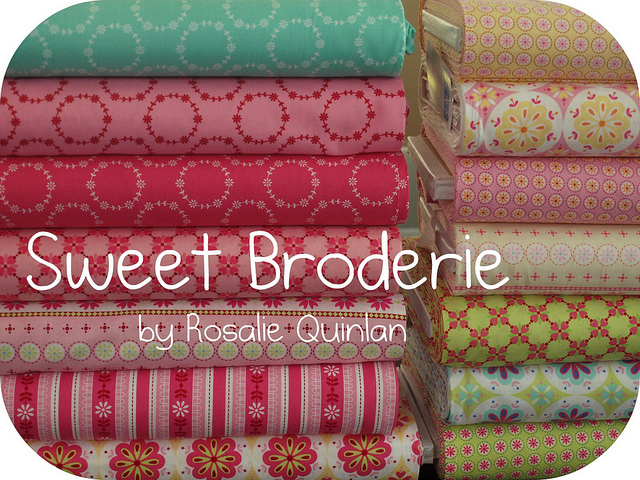 I am not usually wooed by the fat quarter bundles at Jo-Ann . . . usually I find them really uninspiring and the colors don't grab me. These ones, though . . . they just spoke to me. I bought a bundle hoping that 5 fat quarters would be enough to make a little blanket. I'm not gonna lie . . . I'm pretty proud of myself for getting all those squiggles going in the same direction. I'm under the gun just a little bit . . . my in-laws are going down to Texas to meet the little man over Thanksgiving and I want to finish it so they can hand deliver it for me. 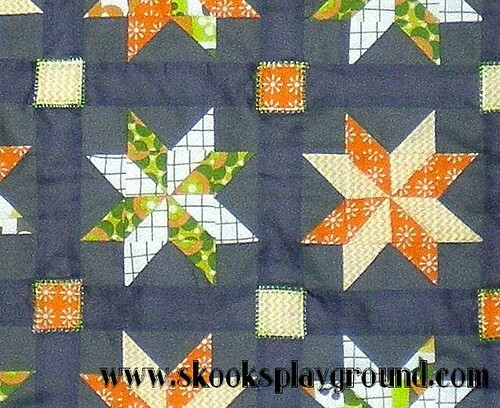 The last time I shipped a quilt I was terrified it would get lost in the mail. I've been working on a lot of other projects lately . . . just haven't had much time to photograph and post. Will try to get working on getting those documented soon. 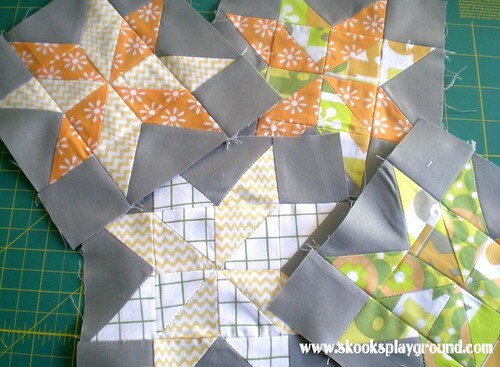 In the meantime, I'm thinking about writing up a little tute on how to make this little block. 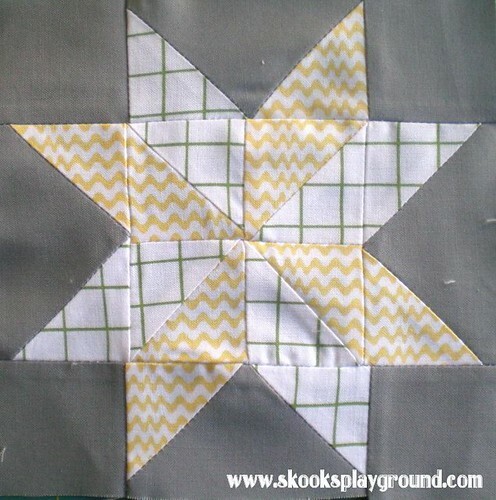 I found instructions for a similar-ish block that helped me figure out how to do it, but I changed it around to give that alternating pinwheel effect. There may be instructions out there somewhere already, but I sure couldn't find any. Did anyone else get their craft on this weekend? Super G with her GINORMOUS princess sword. Super G springing into action! You do not want to mess with this sword, I assure you!